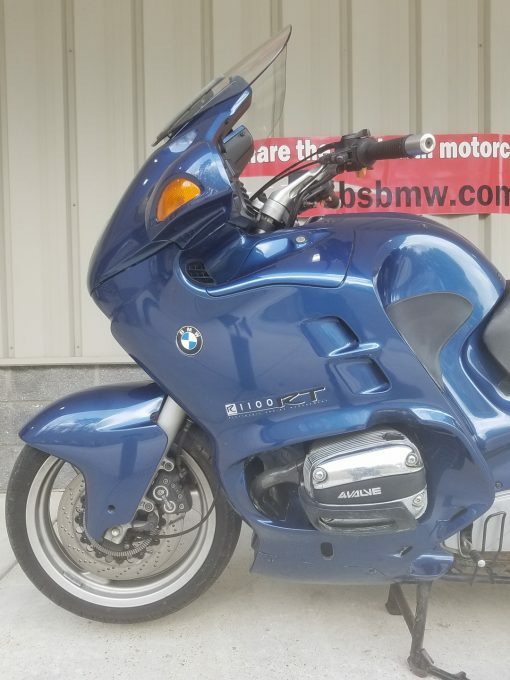 Here’s a great opportunity for someone looking for a cosmetically nice, older RT that has some mild to medium mechanical and maintenance issues that need attending to. 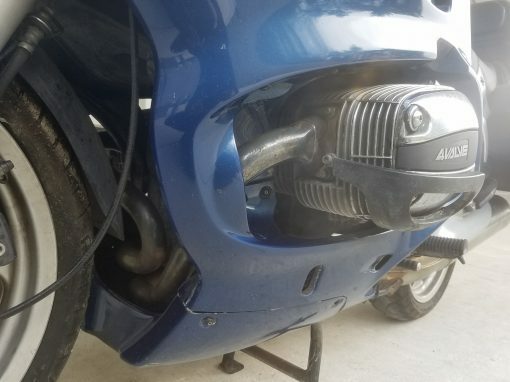 It’s just the thing for the do-it-yourself mechanic — or a BMW enthusiast on a tighter budget — who has spare time and space to tinker. 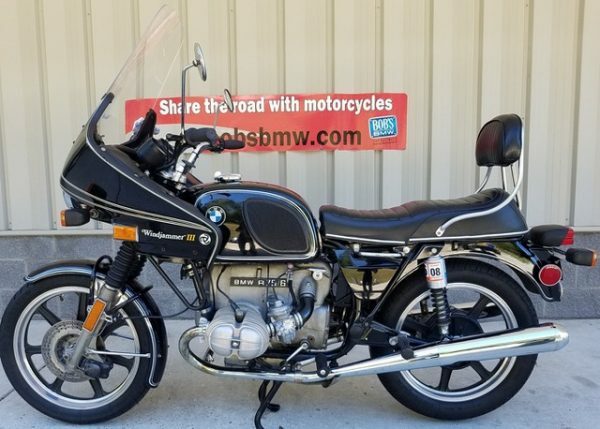 This is what we call a PROJECT BIKE here at Bob’s BMW. And while this one starts and runs pretty well it will not pass the Maryland safety Inspection at this time. We’ll go into detail on the needs and other inspection observations we’ve made before offering it for sale, but first suggest you read the information we have on our website and in the following two paragraphs about PROJECT BIKES offered here at Bob’s BMW. 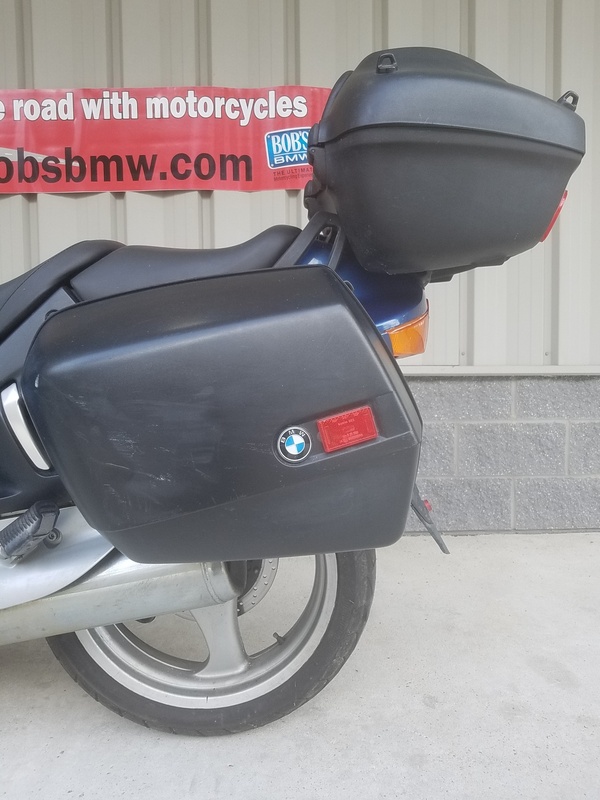 As with all PROJECT BIKES we want the buyer to know as much as possible, so we urge every potential buyer to ask questions if anything is not clear. 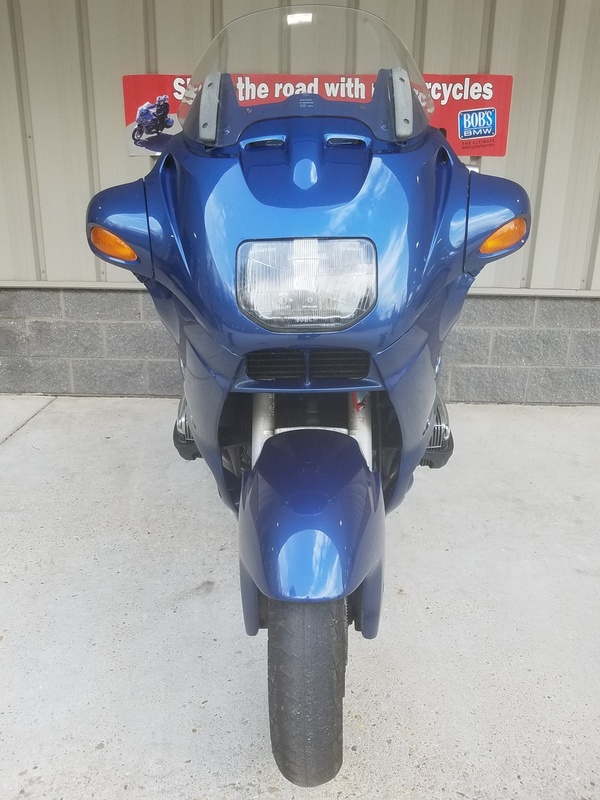 We’ve nothing to hide and our only goal is that the new owner for each and every PROJECT BIKE we offer feels they paid fairly and got a good, if not great value in the deal. We encourage people to call, schedule a time to visit, meet with one of our sales advisors, and inspect each machine in person so they know all the positives and any negatives involved in the refurbishing process with full clarity. We’re proud of the fact that we’ve even taken a few PROJECT BIKES back in trade as good used bikes once all the work was done and the owner had enjoyed the bike for a number of years. 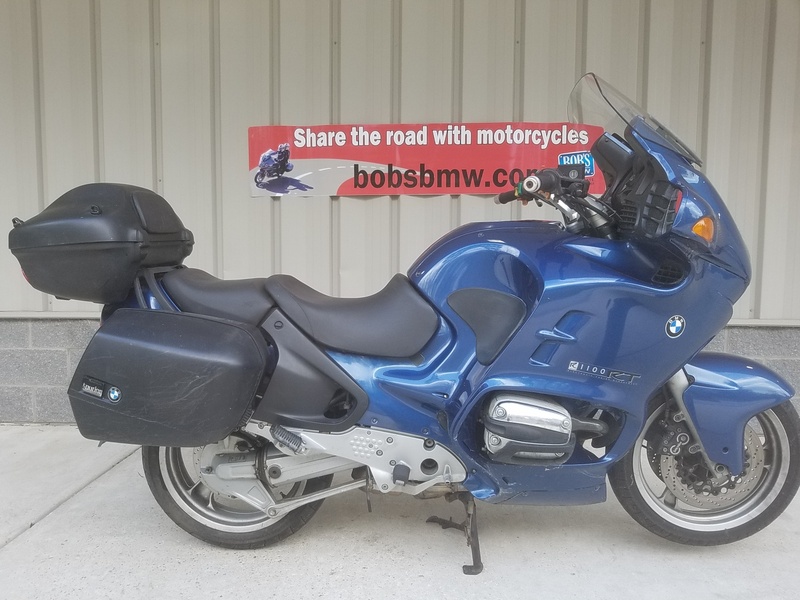 We invite you to learn more about Bob’s PROJECT BIKE program and read our general disclaimer here: http://www.bobsbmw.com/new-motorcycles/project-bikes/. 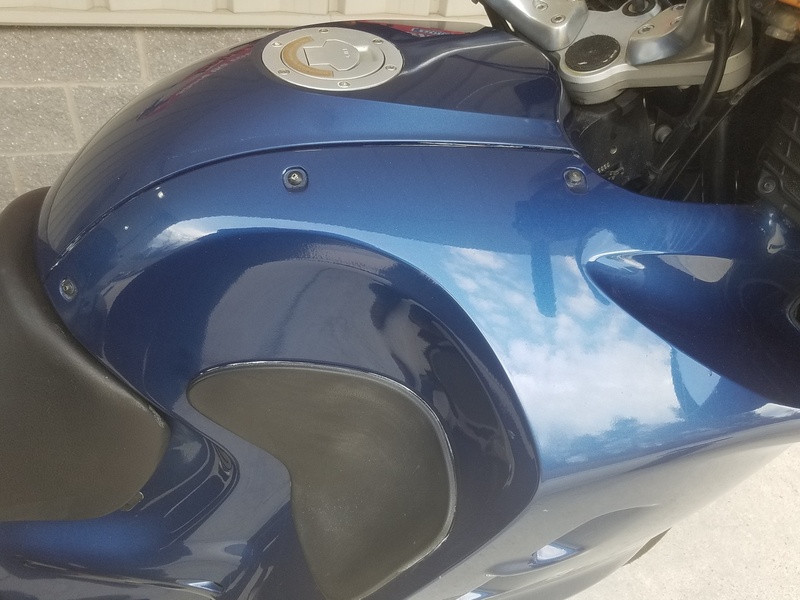 Over the years, we’ve sold well over a hundred PROJECT BIKES, a number that has risen sharply this year, and every single client except one was exceptionally pleased with their acquisition from the very start. 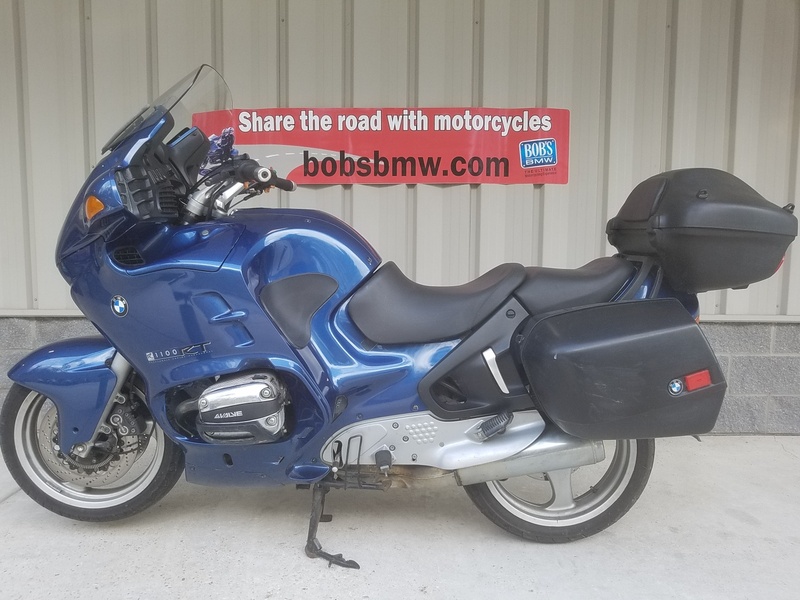 That each customer is exceptionally pleased is our goal, just as it is with our exclusive ADVANTAGE CERTIFIED Pre-Owned BMW motorcycle program, and for that matter the results of someone being assisted in selecting and buying a new BMW here at Bob’s. And for the record, we did manage to make that lone individual happy in the end despite some very unrealistic expectations after an extensive in person inspection, review and conversation before buying and leaving with it. As we shared at the start this PROJECT BIKE runs well. 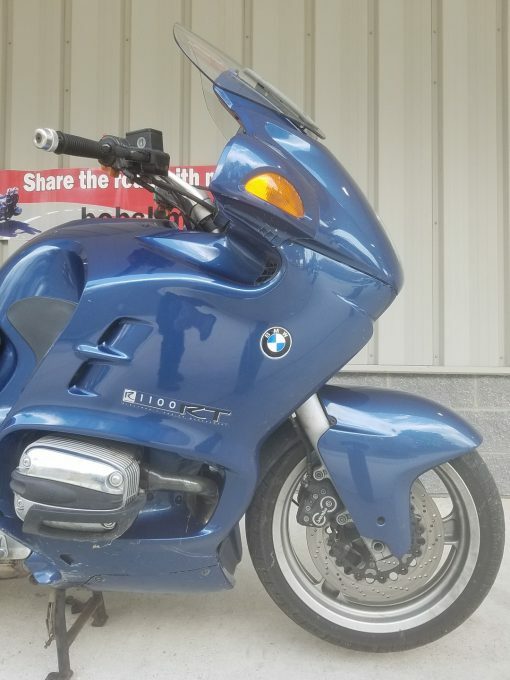 It does have a small dent in the front wheel that could be run as it is, however, we’d think that for optimum smooth handling and safety this should get straightened out at a professional shop. 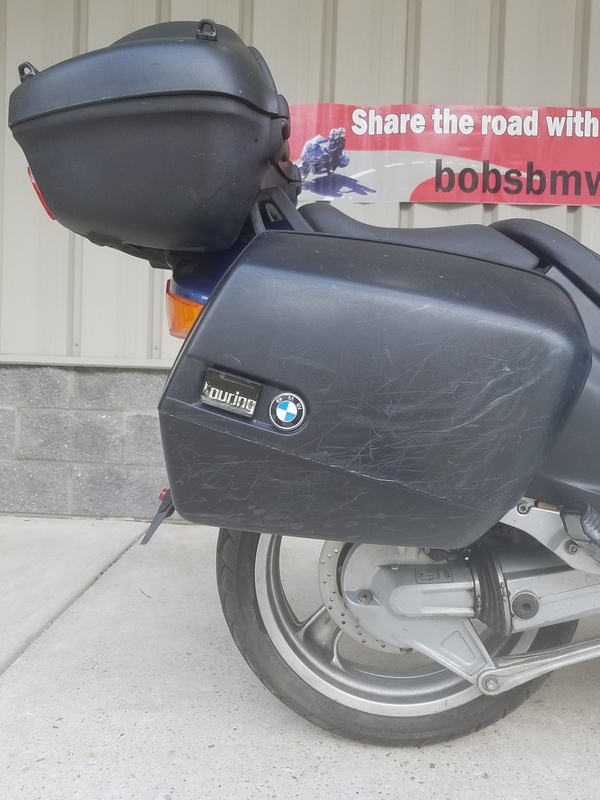 Other issues: the fork seals are leaking, the kill switch should be replaced as it’s very touchy, and you’ll find a small number of rubber bits that could use replacing. It will need a full fluid service as it has been a while since it was last done. 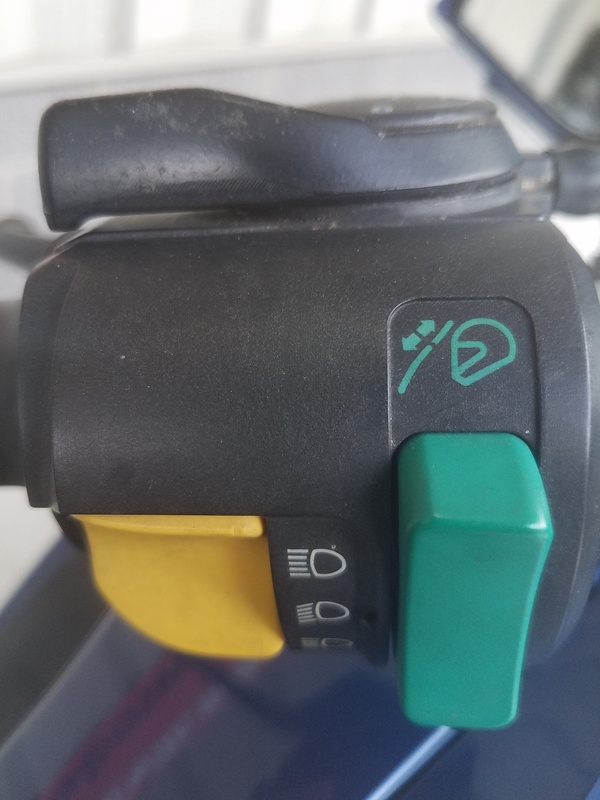 The battery is holding a charge for now but that could change at any time, so a fresh battery might be in order as part of the complete refresh on this still low mile machine. 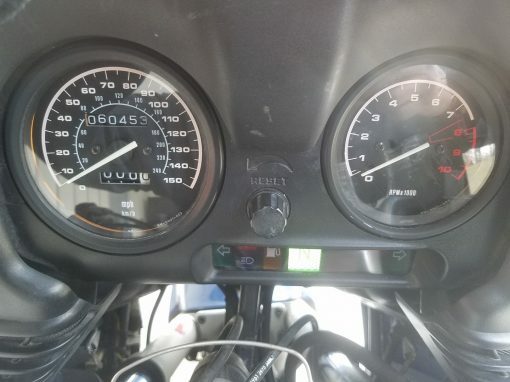 It will need front and rear tires and ideally fresh brake pads all around, but the discs look and measure over factory spec so we’re guessing they had been replaced earlier but the last or even the first owner. There are some boot marks on the seat as well and as is pretty common. There is evidence that this PROJECT BIKE tipped over gently on both sides; this is most visible on the saddlebag lids. You can also see some light damage on the factory cylinder head guards and mirrors. 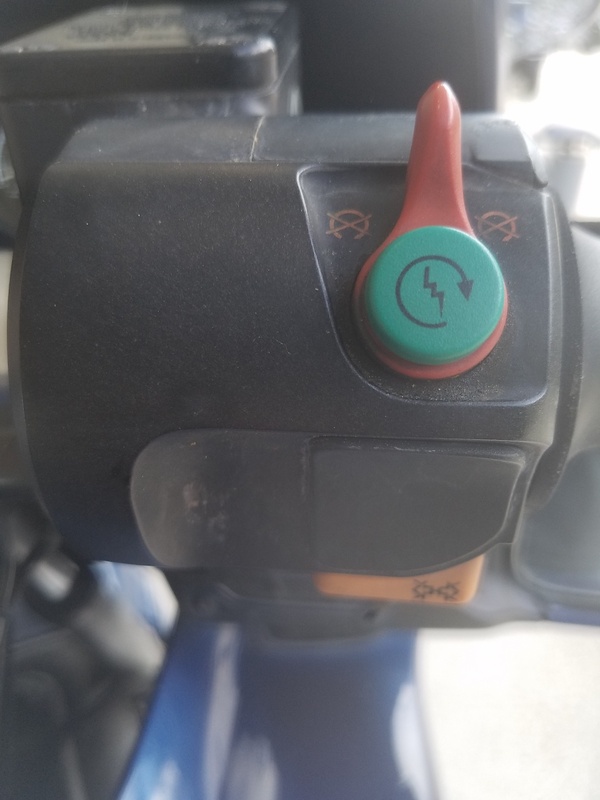 All the switches worked easily during our evaluation including the electrically adjustable factory windscreen as did lights, signals, etc. We gave this machine a quick, light bath but it is in need of a complete detailing to shine as brightly as we know it can. There is no evidence of neglect or abuse. We have chosen to call this a PROJECT BIKE mostly because we’re really busy this spring with new and used bike sales, plus our service department is super busy with springtime appointments for our current and steadily growing customer base, not to mention, we have to make room for fifteen new police bikes that will arrive any day now. All of them will need priority set-up, installations, and delivery. 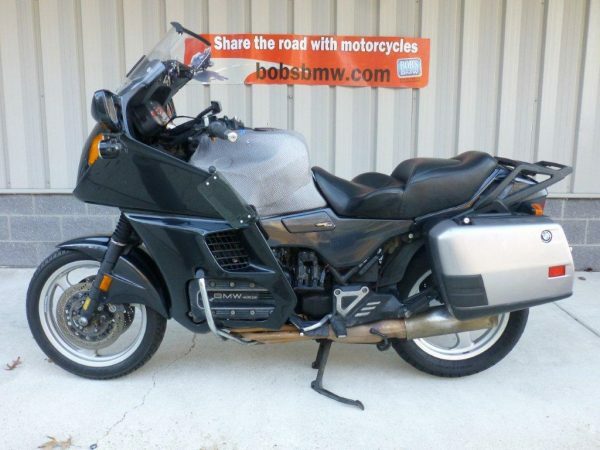 If not for all that, we’d probably have refurbished this bike ourselves to sell in prime pre-owned condition. This PROJECT BIKE is mostly stock but came from the factory with ABS, Telelever and Paralever suspension, electrically adjustable windscreen, 3-position adjustable riders seat, 3-way CAT, luggage rack, cast alloy 3-spoke wheels, dual disc drilled brakes on the front and single disc at the rear, air and oil cooled 1100 cc motor producing just under 95 HP, and a sweet 5-speed manual transmission with a dry plate clutch package. It came equipped with spacious, removable BMW System Saddlebags too — a bonus every rider can appreciate. 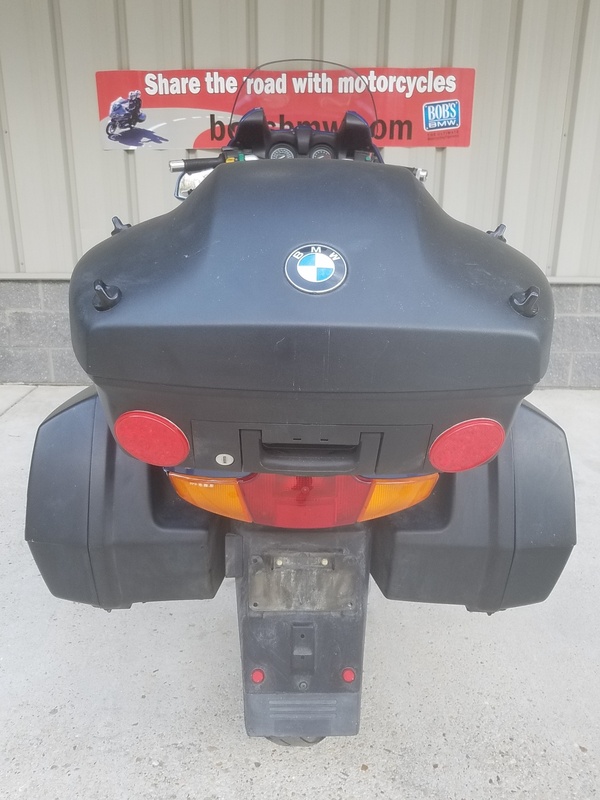 Later was added a matching 33 liter BMW top case with backrest pad. (Note: a retractable cord mounting point inside the top case is broken.) 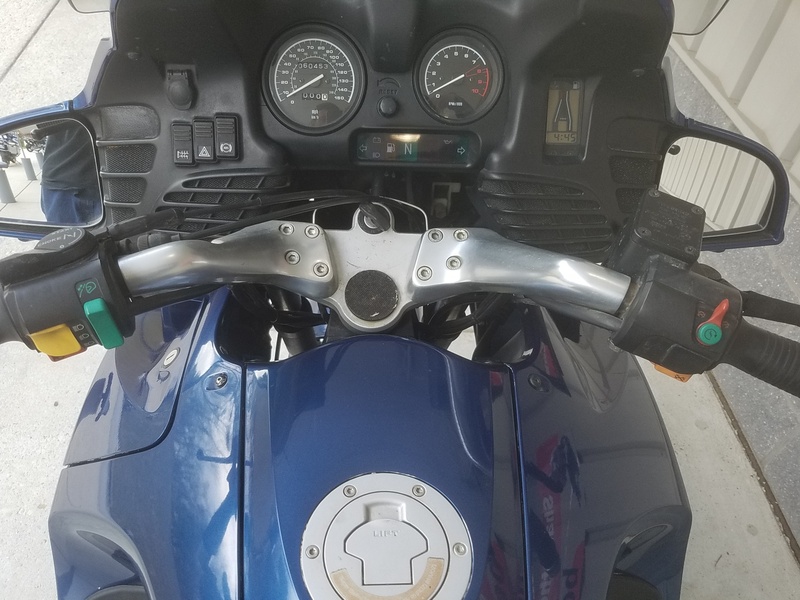 Other added options include cylinder head guards and a Wrist Rest stainless steel bar-end throttle control with matching left-sidebar weight. It came in with the owner’s manual, one main and one spare key, the tire repair kit, and a mostly complete but perhaps not 100% original tool kit, all of which will be delivered with the bike to the next owner. We think we’ve priced it quite fairly so please call us if interested and schedule a time to stop by. 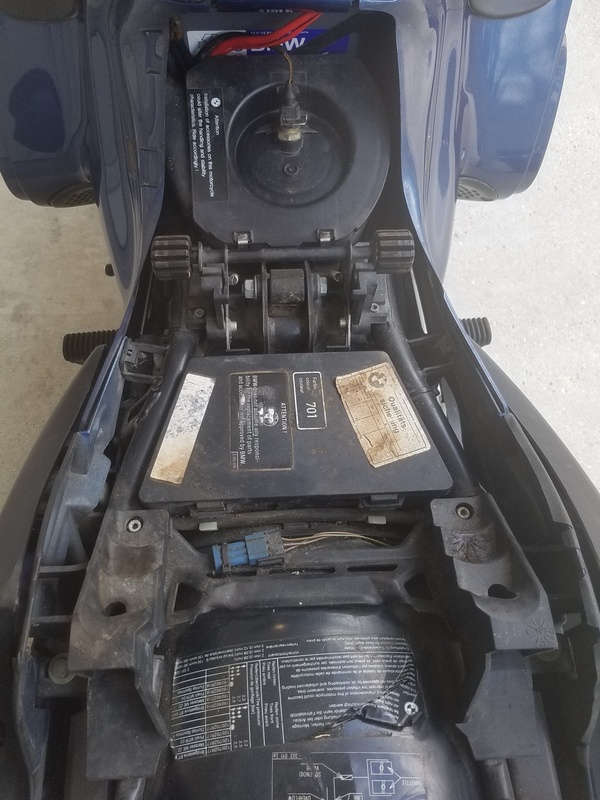 Inspect it closely yourself and see if you don’t agree that there’s a long life and a lot of value just waiting to be tapped by a smart new owner. We’re confident that when everything is addressed this PROJECT BIKE will become a good used BMW capable of being ridden anywhere you desire and helping the owner to create some great memories from their experiences.